No two bodies are the same. No body stays the same over time. But one thing is for certain: we only have one body to carry us through our lifetime. 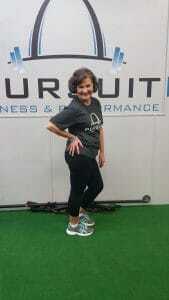 Choose to keep your body active now and in the future with the P3 Method at Pursuit Fitness & Performance. 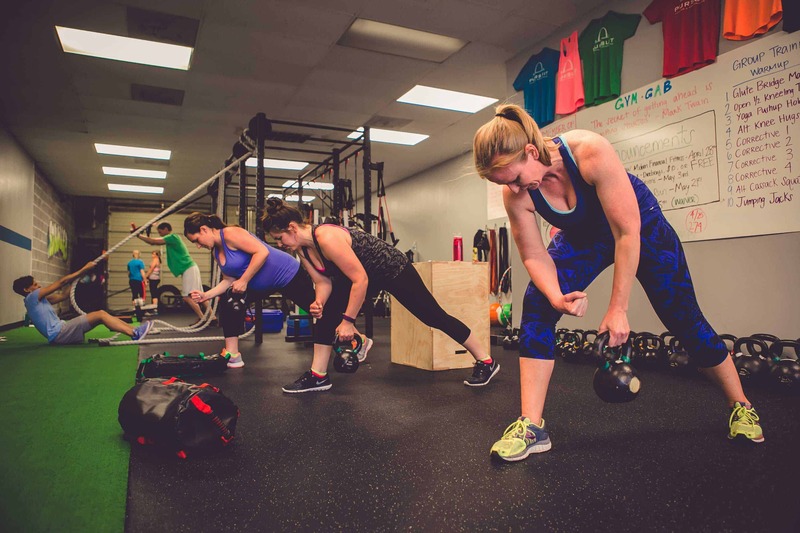 Safeguard your health and wellness by improving your strength, stamina and balance with like-minded people in an upbeat, encouraging environment. Like a financial retirement strategy, the P3 Method is a way to make sure that your future is the brightest it can be. 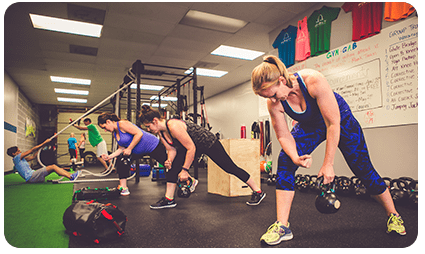 We offer group and semi-private personal training, a flexible class schedule 6 days a week, nutrition programs and optional activities outside of the gym. 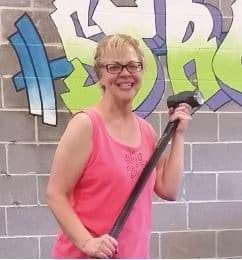 The programs are effective for people of all ages, but especially for people aged 45 years and up who may have stopped exercising or are feeling discouraged by health conditions, aches and pains or concerns about injuries that come up as we age. And it can only be found at Pursuit. We believe it’s possible to boost your quality of life, your outlook and improve how your body will age no matter when you start. With the P3 Method, you can shed weight and get firm in the most effective and efficient way possible, without feeling self-conscious or like you have to “keep up” with everyone else. Be comfortable where you are. In fact, we give you permission to train at the exact level that’s right for you, even in our Group Fitness programs. It’s one of the core principles of the P3 Method. In as little as 3 sessions a week, our members see major improvements. With guidance from our experienced trainers, you will continue to make progress for as long as you stay a member. There’s a big difference between being in a room full of individuals who are working out and working out with a community of like-minded people who share a desire to be healthy and fit for the long run. 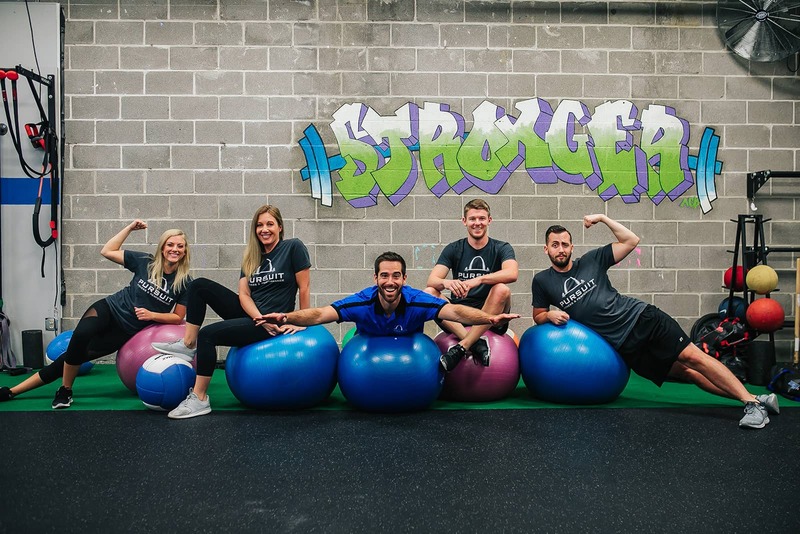 Our PFP family is one of the most unique and valuable assets of the gym. We don’t allow drop-ins and we search for quality members because we care deeply about our environment and want to make sure our members always feel welcomed, inspired and motivated. When you join Pursuit, we will start with a non-invasive test called a Functional Movement Screen (FMS). It’s designed to help us discover weaknesses in your body that impact your performance. Everyone, even elite athletes, have limitations and often “cheat” or compensate without meaning to. But once the FMS reveals a problem, we can create an exercise program that reduces the risk of injury and strengthens your weak areas. At Pursuit we have invested in the training necessary to become Functional Movement Specialists so we can use this scientific approach to personalize a program that’s perfect for you. There’s no guessing, no wasting time, no under performing and no pushing too hard. Every member has different reasons for working out at Pursuit. You may want to improve your mobility, flexibility or balance. Maybe you’re trying to avoid high blood pressure, osteoporosis, or diabetes. Maybe it’s a way to relieve stress, lower your anxiety, improve your sleep and lower your risk of Alzheimer’s. Maybe you just want to boost your spirits and your self confidence. No matter what it is, we want to know. We’ve learned that when people just “follow” a program, their commitment fades and they get lost. We want to learn what’s most important to you so we can partner together to achieve your goals without wasting time, effort or money. We understand your starting point and we understand your motivation. Now it’s important to make sure you’re making constant progress towards your goal. We use a proprietary wristband system so our trainers know your current fitness level, the level of intensity you should be working at, and the techniques you should be focusing on to make the biggest gains. 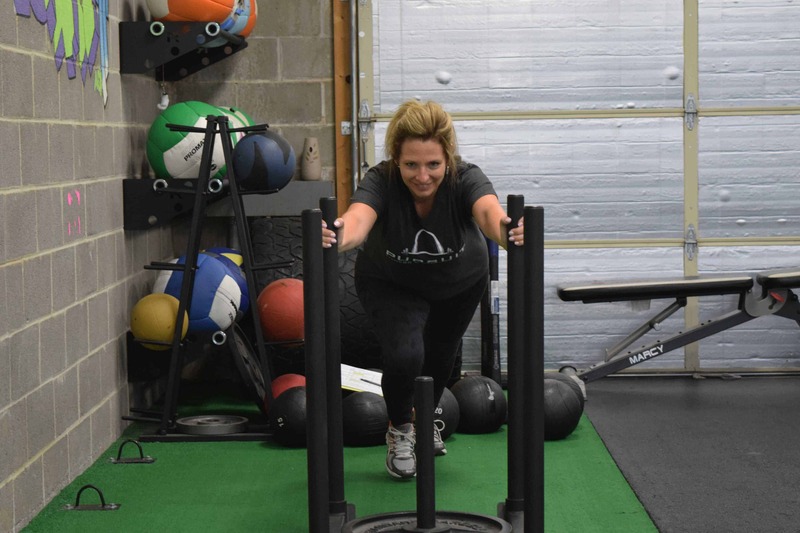 Our sessions are broken up into 4-week phases so that your body can learn the movements and your muscles can respond by building up endurance and strength. 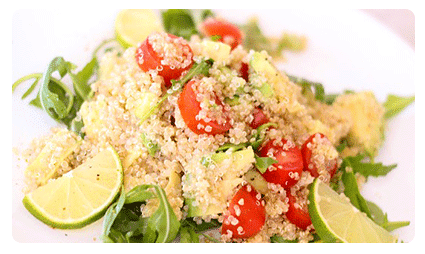 Gone are the days of “confusing your muscles” and confusing yourself. Our trainers are with you every step of the way to make sure you break through plateaus and get fitter with each passing month. The best time to start exercising was 10 years ago. The second best time to start is today! Don’t worry about what you look like. Don’t compare yourself to others. Don’t think you’re not capable. Accept yourself where you are. Be gentle with yourself. Be grateful for what you can do now and look towards the future. 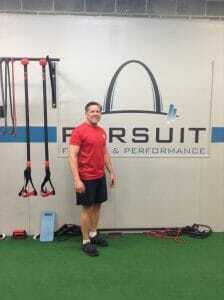 ST. LOUIS' PREMIERE TRAINING FACILITY! 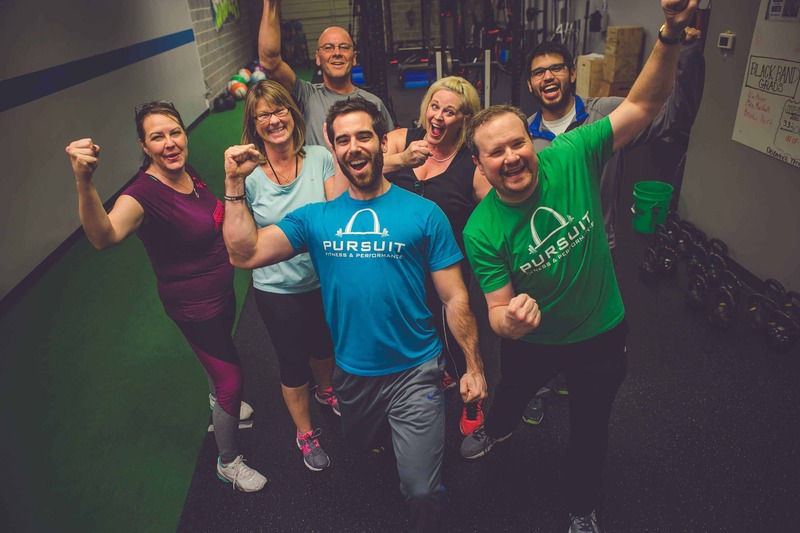 At Pursuit Fitness & Performance, we have the most unique form of group training in St. Louis. We start with an individual assessment, then identify your strengths and weakness and teach you the color coded band system used in our Group Metabolic Training Workouts. Personal Training at Pursuit Fitness & Performance is the quickest way to achieve your goals. 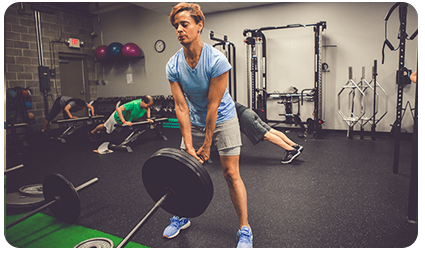 At PFP, personal training is individualized fitness training programs in a semi-private atmosphere of two to four people. At Pursuit Fitness & Performance we are committed to our members’ success, so we make sure they understand the critical relationship between exercise and nutrition. The Fit Foundation Program is open to both members and non-members. There’s no better way to try us out than to do it with the person who inspires you most. Register for our brand new 28-DAY COUPLES CHALLENGE between now and our orientation on April 18 at 6:30 pm. Click the button to get all the details.